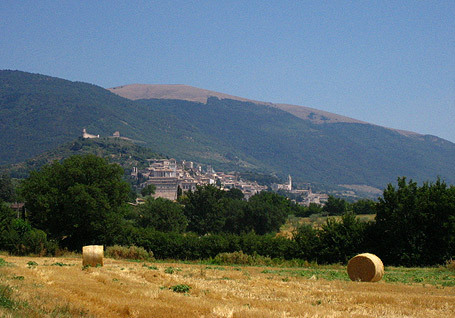 Assisi, protected by the western spur of Monte Subasio (1.290 m), dominates the evocative valley of Topino and Chiascio. Its medieval appearance, boasting narrow, tortuous and often steep streets, a mystical and peaceful atmosphere, Franciscan remains and numerous operas of art, make Assisi one of the most frequented Meta’s for pilgrims and tourists alike. Gubbio is renowned for its exceptional richness of monuments and the fascination of its medieval appearance, which it has preserved, unaltered over the centuries. There’s an annual and traditional Eugubino folklore called the Corsa dei Ceri (Race of the Candles) as well as the Palio della balestra (archery competition).